The links in our Stage 1 Titanium link kit for SCX10 Honcho and Wrangler Unlimited Rubicon are machined and bent from 6Al-4V (grade 5). Our SCX10 Stage 1 kit comes with (10) Ti links and a 6061 aluminum 4-link conversion plate to mount your front upper links and steering servo. 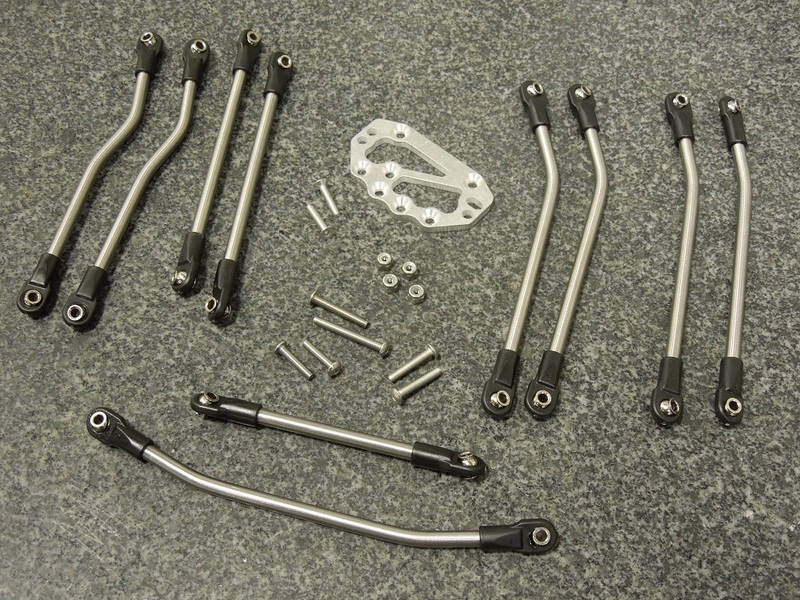 Stainless steel hardware is included as well as (20) Revo rod ends. All you need is tools and 1 hour to turn your SCX10 into a bullet proof rock basher.